Many parents and families make the decision to give their children additional learning support, or to provide an environment where they can be challenged and extended, beyond their regular schooling. This is very often the case in core knowledge areas, such as reading, English, and maths. For families who choose this path, there are essentially two options available—one-to-one tuition or tuition in small groups. While both are undoubtedly beneficial and can provide students of all ages with useful support and guidance, tuition in small groups of between two and six pupils ultimately has several advantages over individual or one-to-one tuition. Small group tuition is a highly effective method of helping children to catch up in areas where they may have fallen behind, to consolidate key skills, or to extend their knowledge and understanding, in an environment that nevertheless allows them to collaborate with others, gain independence, and have the opportunity to practise skills and, crucially, to make mistakes. Students of all ages enjoy working together, whether they are doing groundwork in essential skills or working at an advanced level. Learning together and from each other can be a highly effective way of developing confidence and competencies. Tuition in small groups of between two and six pupils enables children to receive more personalised, focussed care from a tutor while still having the opportunity to interact with peers, share ideas and learn in a collaborative and engaging environment. Students who receive individual tuition for prolonged periods of time can sometimes miss out on this vital part of the learning process. However, when pupils are working together in groups, they are able to benefit from the different teaching and learning styles that small group tuition offers. There are more opportunities for speaking and listening, for instance, or pairs work, and this variety of learning methods enhances the quality of the learning experience. It can sometimes be the case that students who receive personal one-to-one tuition for extended periods of time can lose their independence. It might be, for instance, that they become too reliant on a tutor, and then find it increasingly difficult to work on their own for any length of time when they don’t receive immediate feedback or approval. This can have implications not only for their performance at school or in exams, where such attention isn’t usually forthcoming, but also for their confidence as learners. If a pupil becomes too reliant on having immediate feedback, they can find working problems out on their own more difficult, which in turn can lead to their losing faith in their abilities. Individual tuition can of course be useful for set or limited periods of time, and for dealing with specific learning difficulties or catching up on a particular topic in maths, for instance. However, small group tuition provides a more solid foundation for sustained individual learning and greater long-term confidence. Tuition in small groups provides the best of both worlds—close, individual attention from a tutor combined with periods of time when students have the opportunity to complete work on their own, as the teacher works with other pupils in the group. 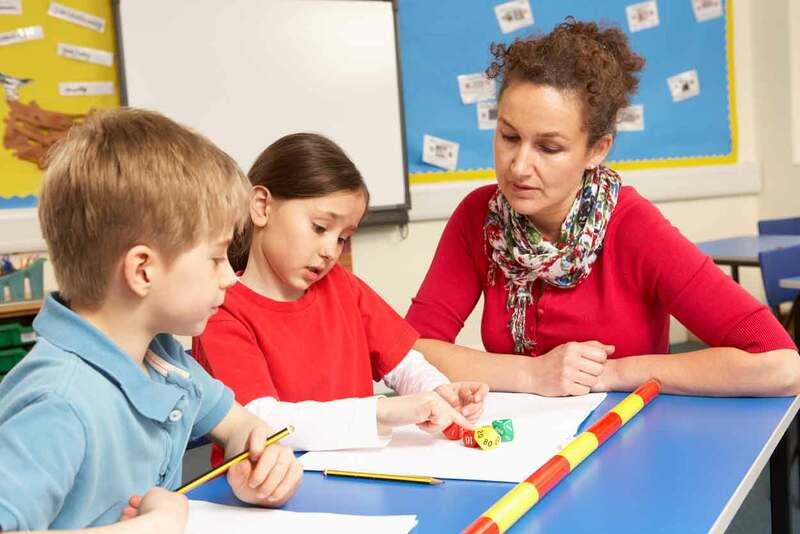 Individual, one-to-one tuition does not provide as many opportunities for practising, as a tutor will tend to watch a pupil take on each problem or question in turn. These chances to experiment, to consolidate knowledge, or to simply get things wrong are a vital part of the learning experience for children of all ages. Tuition in small groups provides these opportunities, and so students have the chance to try things for themselves, secure in the knowledge, however, that a helping and guiding hand is never far away.